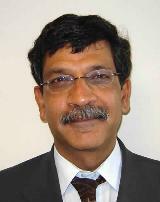 Dr Manji graduated from Cambridge and London in 1982. He trained in general medicine and then Neurology at the Middlesex Hospital, the National Hospital and L'Hopital Kremlin Bicetre in Paris. He was appointed Consultant Neurologist to the National Hospital and Ipswich Hospital in 1997. He has a special interest in headache, peripheral nerve disorders and neurological infections. He has published widely on these subjects and is the Chief author and editor of the Oxford Handbook of Neurology published in 2007.